The BGS stall set up ready to receive visitors. 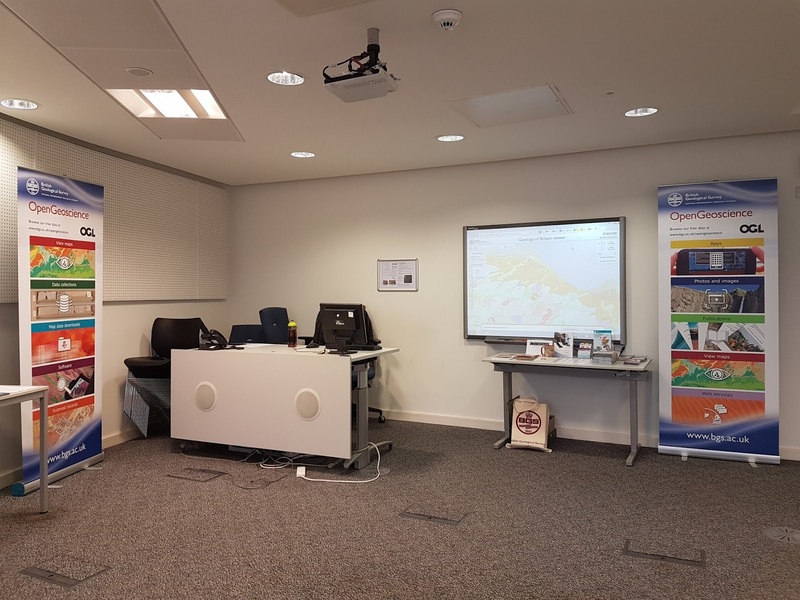 On Friday 18 October, I packed my car full of BGS flyers, goodies and specially created OpenGeoscience posters and headed over to the Queen Margaret University on the east of Edinburgh for the Open University Geological Society (OUGS) Festival of Geodiversity. I didn't know what to expect, but was greeted by some very friendly OUGS organisers and set up a BGS stand in a break out room opposite the main lecture theatre for the weekend's talks. I was sharing the space with BGS's Don Cameron who is the OUGS secretary and was selling some of BGS's published books. 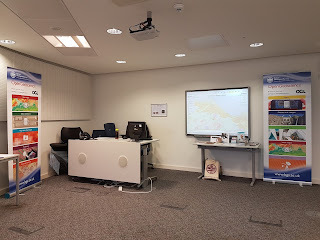 I was there to promote the new data that is available via OpenGeoscience and found that the Festival's demographic were particularly interested in our newly available Publications and Maps Portal. I also had a lot of interest in testing the new version of our iGeology app. As a web developer whose knowledge of geology has only been absorbed during my eleven years working for the BGS, I was surprised quite how much I understood at the three talks I attended over the Friday and Saturday and and how much new geological knowledge I obtained. The other delegates were very keen to share their learning and experiences which complemented the lectures. BGS's Tim Kearsey and Maarten Krabbendam both presented and were very well received. Maarten described how the Moine and Torridonian rocks are actually intertwined over Scotland and Canada. Tim talked about the TW:eed project where four-legged animals Tiny (Aytonerpeton) and Ribbo were discovered as our Scottish ancestors. On the Monday, I was lucky enough to be invited on a field trip to Siccar Point and Cove, south of Dunbar.Our trip leader was Angus Miller from Geowalks who described the local sedimentology and geological periods as we walked along the top coastal path near Cove. Cove Beach surrounded by Old Red Sandstone cliffs. Then we trekked over to Siccar Point and I was mesmerised. Not only is the scenery beautiful, but I felt privileged to be standing on arguably the most important geology in the world, where James Hutton proved the world was millions of years old. Angus explained that the eroded Old Red Sandstone that was layered almost at right-angles to the Wacke below shows that these sediments were laid down at different times; about 65 million years apart! We ended the trip with a picnic on beautiful Cove beach which is only accessible by a slightly creepy and dimly lit sandstone and brick tunnel. On the beach we found lots of evidence for the Anthropocene in the form of beautiful pebbles of beach glass. We then discussed how the sedimentary rocks that formed part of the harbour wall contain features that enable you to decode different river processes that laid down the sediments over time. 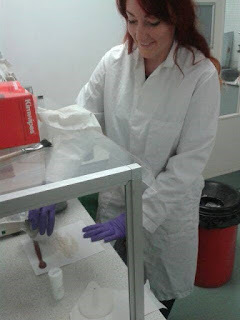 Hi, I’m Helen and I’m a 1st year PhD student at the University of Cambridge, in partnership with BUFI, the BGS University Funding Initiative. 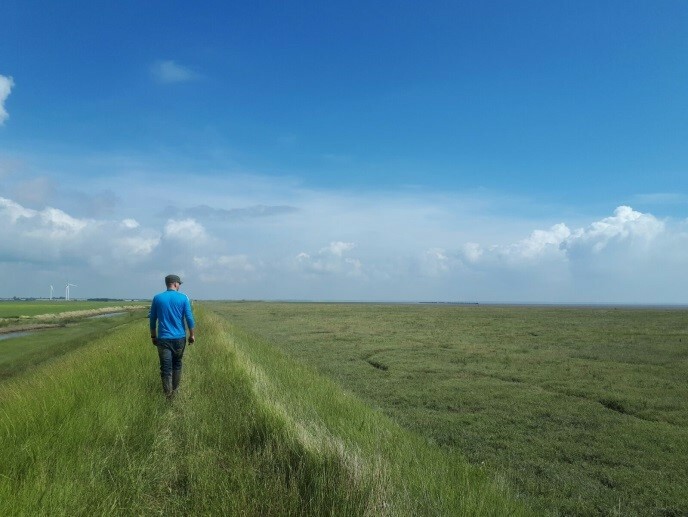 My research looks at sediment properties of salt marshes and tidal flats and how these relate to the stability of salt marshes. This means I get to spend a lot of time sampling in the field, which is great fun (if the weather is good)! Why are we interested in salt marsh stability? Salt marshes help protect the land behind them from flooding and erosion, however marsh areas are declining globally. My research will improve models that simulate future marsh evolution, particularly in a changing climate. 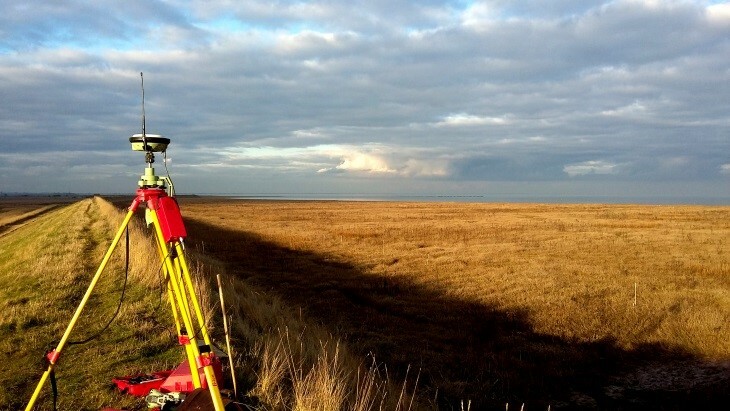 This will help us to understand whether marshes will continue to protect us from flooding in the future. What exactly do I sample? I’m interested in the sediment properties and how these relate to erosion resistance. During my PhD I hope to look mainly at the sediment shear strength, compressibility, shrink-swell behaviour and plasticity (i.e. how the sediment behaves at different moisture contents). Most of these tests will be done in the lab and will require undisturbed samples. That means a sample where we try to keep in the in situ condition. For anyone who hasn’t done undisturbed sampling before, you’ll probably think I’m crazy by the end of this paragraph. I’m going to try and explain the process of collecting the samples. Essentially, you dig the outside of a pit, leaving the central section untouched (see photo). Then you carefully remove the vegetation and the uppermost sediment (and by 'carefully' I mean 'using small kitchen knives to remove 2 cm2 chunks of sediment, bit by bit'!). The next step is to place the sampling equipment on the surface, push down gently by 1-2 mm, then scrape the excess 1-2 mm of sediment carefully from around the side of the equipment (see photo). Then we repeat pushing down and scraping the excess sediment until the sediment reaches the top of the sample! 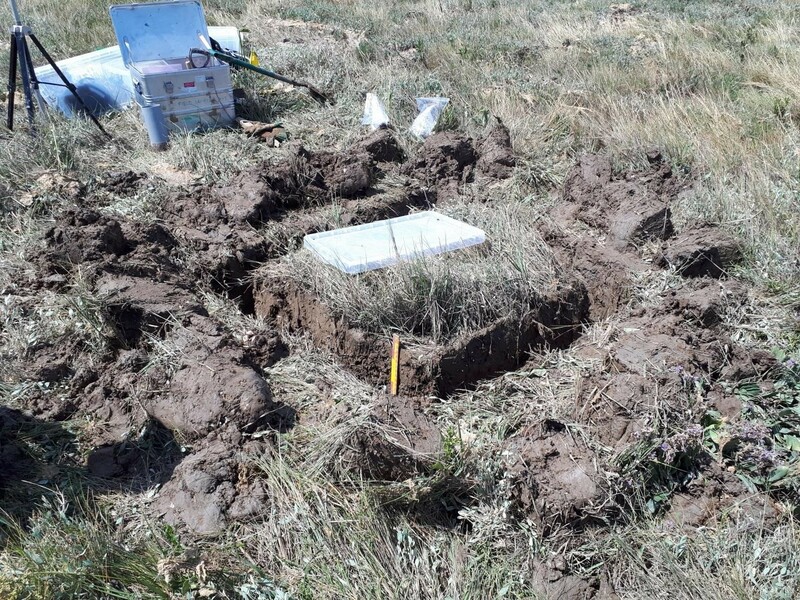 In total, digging the pit and taking the sample can frequently take three hours! Finally, the samples are wrapped in A LOT of bubble wrap, placed on trays and packed in boxes to reduce disturbance during transport! But after all this, do you know what the best part of the day was? Enjoying a glass of freshly squeezed orange juice! To explain: the rest of my research group were in the field flying a drone over the marsh and used halved oranges as ground control points (novel, I know!). However, so as not to waste the oranges, these were squeezed before we went out to the field! Digging the outside of the pit, leaving the central section untouched. Carefully pushing the sampler into the sediment, then scraping away the sediment around the outside. This particular sample is nearly done, as the sediment inside the sampler has now reached the top of the sampler. Most recently, I was sampling at Tillingham Marsh in Essex. We spent two days meticulously taking undisturbed samples in the glorious sunshine (though unfortunately it isn’t always like this! 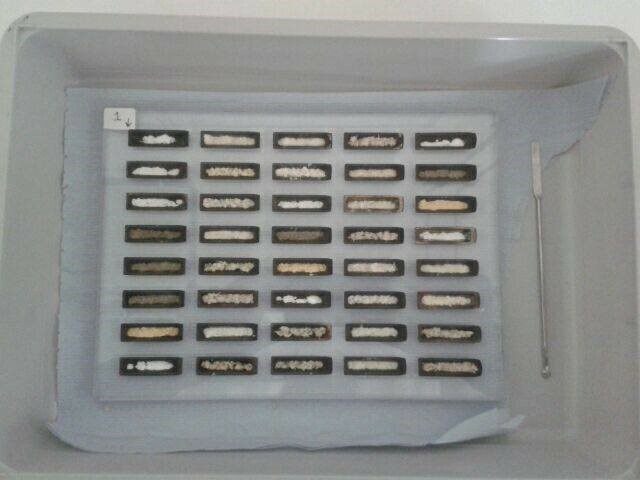 ), before carefully transporting the samples back to Cambridge. The samples were taken from the lower marsh, close to, but not on, the tidal flat. I’m now about to start work on these samples at BGS Keyworth. This will involve three weeks of more sample preparation, plus lots of loading the samples into machines which allow me to assess properties such as consolidation, shear strength and shrink-swell behaviour. Pebbles: small, round, found at the beach. They’re not things that get a lot of attention really, although I expect most of us have felt the small satisfaction of gripping a particularly smooth one in our hands or skimming a lovely flat one across the waves. I’ve found myself considering pebbles a lot this week, and that’s all down to the Comms team’s new Pebble Project! We decided that these little over-looked geological items deserved a bit more attention so we’ve gotten to work on designing some pebble resources. Aimed at all ages, these downloads will be available for people to take out and about – use them at the beach to identify what you’ve found, use them as the basis for a fun project (there are a surprising number of things you can do with a pebble!) or use them to learn more about the different rock types around the UK. Our resources are currently still in the creation stage, with a very glamourous pebble photo-shoot taking place today. As you can see in the (exclusive, first-look!) images, we took photos of the pebbles both wet and dry. This is simply because wetting pebbles can often bring out beautiful detail that you just can’t see otherwise. If you’ve a pebble on hand, give it a go and see! And now I’m going to let you into a little trick of the trade: the wet-look here is achieved not with water, which would dry too fast under the studio lights, but with glycerine! By the way, I do hope you’re building up a nice mental image of this photo-shoot – i.e. me hunched over a tray of sand, feverishly rearranging pebbles and getting increasingly grittier and stickier as I slather them in glycerine! The same pebble with added wet-look! So, do look out for updates on the Pebble Project in the near future, including where you will be able to get hold of the resources. Until then you can find our existing information about pebbles (as well as our other great holiday geology guides) on the BGS website, here. And don’t forget, if you’re interested in resources for learning about geology, at whatever level, you can visit our online shop here or come and see us in our shops in Keyworth, Edinburgh and London. Sadly not dragon eggs, but rather beautiful limestones! Advert for the walks guide in NI4Kids. At the Geological Survey of Northern Ireland (GSNI) we have a long history of producing popular geology publications. Some of our most successful were the Walk and Explore guides produced as part of the EU-funded Landscapes from Stone project. But these were published in 2000 and many of them were out of date so GSNI decided it was time to produce a new walking guide, taking the best bits from the original Walk series and making sure that we covered the whole of Northern Ireland. The long process of producing the new walking guide began back in 2012 when I first started as Landscape Geologist with GSNI. Using my knowledge of Northern Ireland's geology I identified areas to focus on that would not only cover the country geographically but also take into account as much geological diversity as possible. After going through the original Walks series, a number of walks were selected that would best represent particular features, were in especially scenic areas, or were well-known walks in their own right. I also identified many additional walks that I knew of either as a geologist, or as a lover of the outdoors, and put the whole list together. All of the walks were tried and tested either by me, or by some of our work experience students who were only too keen to get out of the office for the day. Each route was meticulously mapped, photographed and detailed notes were made about what to see along the way. Many of the original walks were scrapped as they were simply not there any more and some of the others had to be changed or added to ensure that there was good access and that there was enough to see and do. In one case, the original route took me through a river that went up to my thigh! 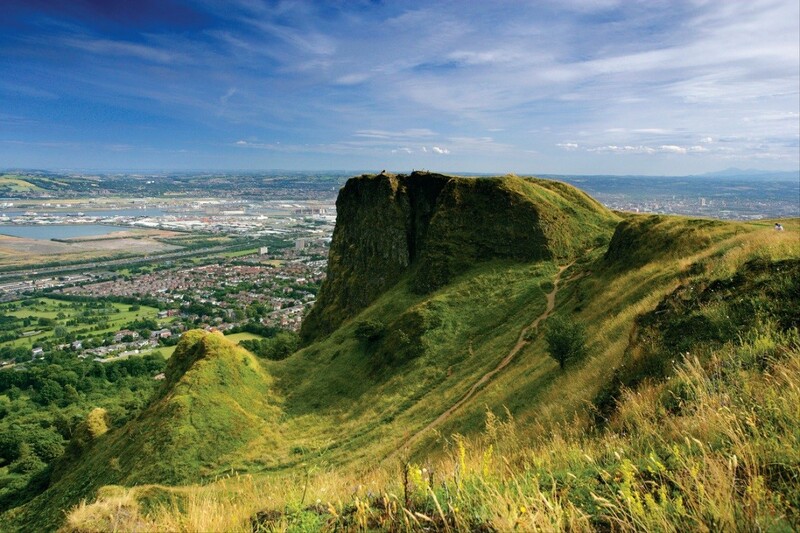 View from Cave Hill, one of the two walks in Belfast. A team of us at GSNI eventually whittled down the walks to 20, including three in every one of Northern Ireland's six counties, and two in Belfast to highlight the fact that you can still see geology even in the city. We included walks that were suitable for serious hillwalkers including one that takes you to the peak of Slieve Donard in the Mourne Mountains, and walks that are suitable for families with small children such as the one around the kettle lakes at Lough Fea in Co. Tyrone. Ballykeel Portal Tomb on the Mullaghbane Walk. Image from Ring of Gullion AONB. One of the major additions was that I wanted to make sure that the book was useful and didn't just tell you where to walk and what to see. Each walk has information on where to park, where the nearest town is, where you can get refreshments (because every good walk should end with tea and buns), where the nearest public toilets are, and in some cases what public transport you can use to get there. I also included what walks are suitable for who, and provided information on what walks are suitable for pushchairs and for dogs, a serious consideration for many walkers. I tried in many cases to use walking routes that are already in existence and that are way-marked. This way it saved on the directional instructions in the book and allowed more time to talk about what you see along the way. Aside from the geological heritage, I included other aspects of heritage in each one to try and encourage walkers to appreciate the links between geology and well, everything! The book has been written for the popular audience as we want as many people to use the book as possible. I tried to include all of the major geological attractions in Northern Ireland such as the Giant's Causeway, but I also included places that non-geologists might not know about such as Barnes in Co. Londonderry and its spectacular glacial landscape. This has all been accompanied by stunning photographs as there's nothing more likely to make people pick up a book that an amazing image. The ultimate aim of Rambling on the Rocks is to get as many people out walking and exploring the natural landscape of Northern Ireland as possible. I want to ensure that every time they use the book that they are taken on a geological 'journey' and one that I am fortunate to go on every time I go walking. 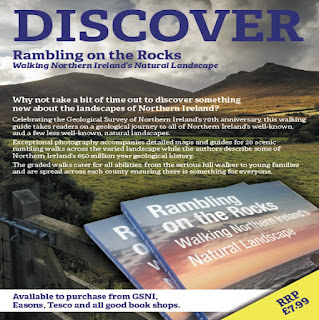 'Rambling on the Rocks: Walking Northern Ireland's Natural Landscape' by K. Lemon, M. Cooper and A. Donald is available to buy directly from GSNI and is also available at the BGS shops in Keyworth, Edinburgh and London with an RRP of £7.99. The mention of Stonehenge often conjures up visions of standing stones and druids, but more often than not traffic jams also spring to mind. As anybody who has driven along the A303 in summer will know, the road past Stonehenge is a regular bottleneck. Traffic flows regularly exceed capacity and impacts one of the most iconic sites in the UK. 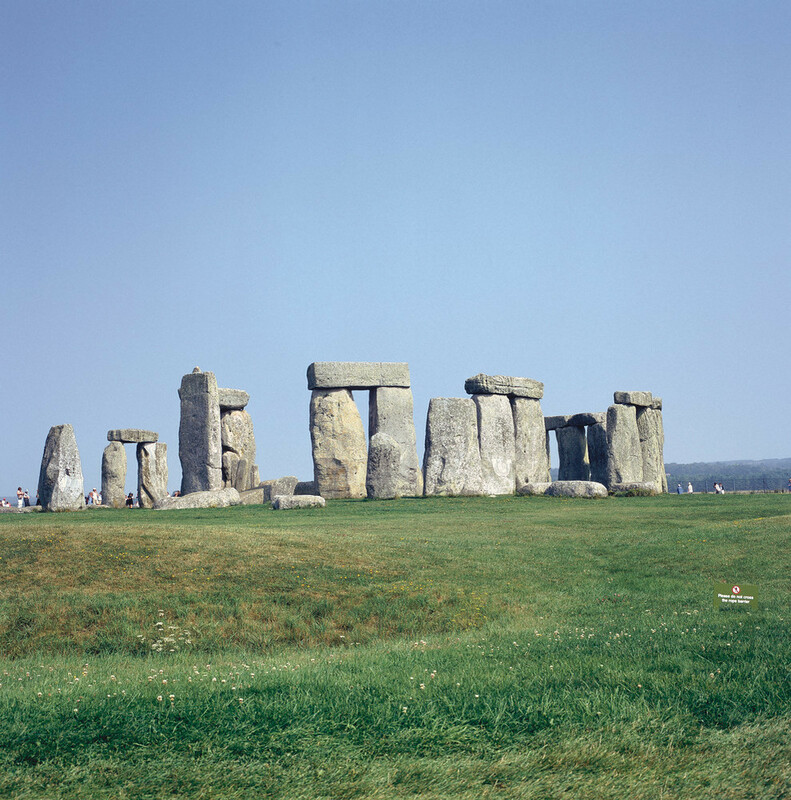 In 1995, Highways England put forward proposals for a cut-and-cover tunnel to bypass Stonehenge. This was rejected following protests about the impact on the archaeology. New plans for a 2.1 km tunnel were drawn up in 2002 with an estimated cost of £183 million — before the impact of geology was assessed. Like many other major infrastructure schemes in southern England, the tunnel was scheduled to be excavated in Upper Cretaceous Chalk. To the uninitiated, Chalk may appear to be a relatively homogenous flinty white rock, but to a geologist or engineer it is anything but. Its composition varies a great deal, ranging from soft clay-rich chalk without flints to very hard nodular chalk with abundant flints. The Chalk is also a major aquifer, the name given to a permeable rock that contains groundwater, so tunnelling can be problematic, especially where faults or major flint bands occur or where there are soft, weak or weathered chalks. When ground investigations started at Stonehenge in 2001, the most relevant up to date BGS geological map was from 1903. This showed the whole route as being underlain by ‘Upper Chalk’, which is not much use for developing a ground model or predicting engineering properties of the chalk! Site investigation boreholes were drilled along the tunnel route to understand the geology before tunnelling. In the Chalk, identifying key features such as flint bands in borehole cores and sections is an essential first step in understanding the ground conditions. Correlating these markers helps identify geological structures such as faults and helps tunnellers to predict difficult ground conditions. 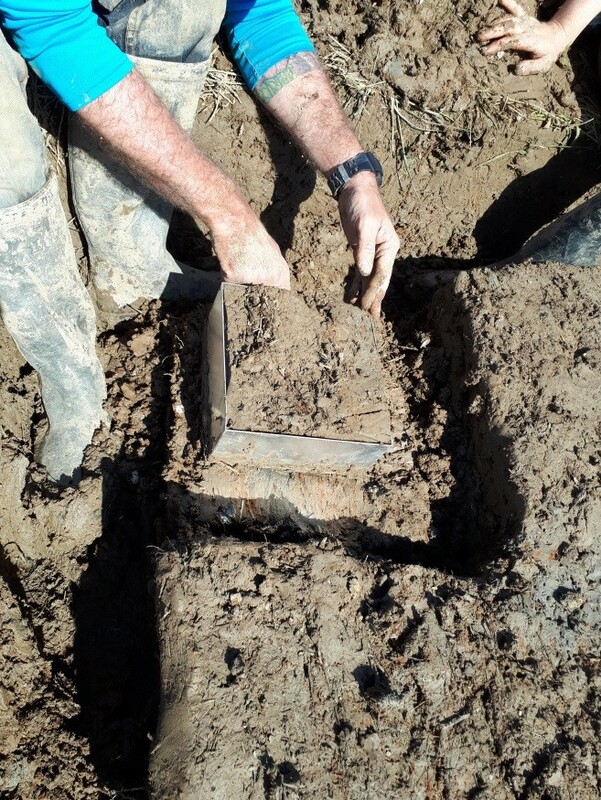 Initial logging of site investigation boreholes by Prof. Rory Mortimore (Chalk Rock Ltd) proved ‘normal’ white chalk with flint bands, but one borehole indicated the presence of an unusual deposit of phosphatic chalk. Further ground investigations recorded the thickest known phosphatic chalk deposits in England with several horizons of phosphatic chalks and hardgrounds separated by ‘normal’ white chalks with flint bands and marl seams. 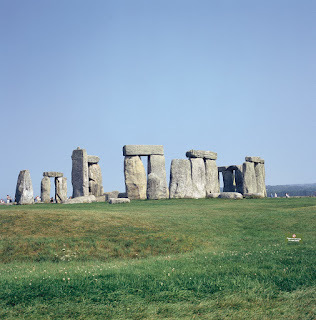 In 2003, BGS remapped the Salisbury 1:50,000 sheet including the area around Stonehenge as part of the BGS national geological mapping programme. The ‘Upper Chalk’ is now divided into four formations: the Lewes Nodular, Seaford, Newhaven and Culver Chalk formations. The geological mapping confirmed the presence of the phosphatic chalk channels and identified several faults and fold structures. The very weak sandy phosphates occur within the upper part of the Seaford Chalk Formation, and the channels are overlain by the Newhaven Chalk Formation. We were able map out the main axis of the phosphatic chalk channel which extends for almost 2 km southwest of Stonehenge. 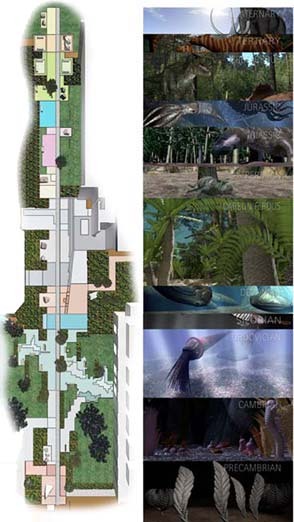 The mapping was assisted by the use of high resolution palaeontology provided by Mark Woods and Ian Wilkinson. More recent fieldwork earlier this year confirmed the spatial extent of the Newhaven Chalk infilling the channels. The data was used to construct a geological cross-section along the proposed tunnel route. 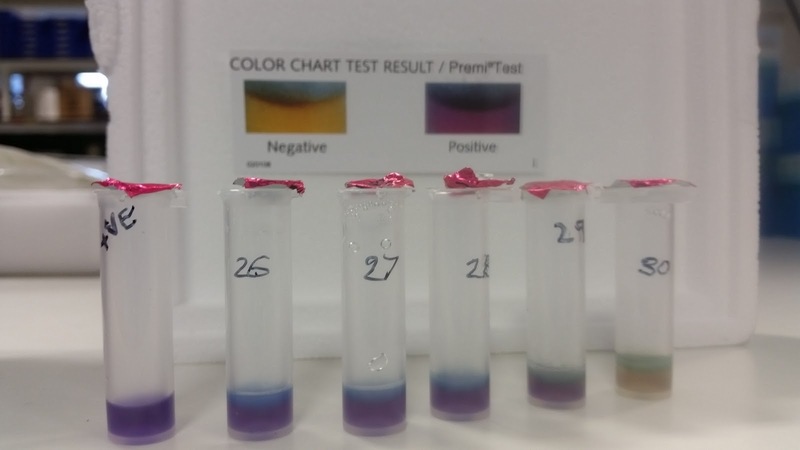 The discovery of these phosphatic chalks had a major impact on the proposed tunnel scheme. The weak sandy nature of the phosphatic chalk, and the identification of several zones of weathered or faulted chalk influenced the design of the proposed tunnel and the machinery required to excavate it. The possibility of radon gas from the potential radioactive minerals in the phosphatic chalks and the risk of groundwater contamination were other environmental considerations. Disposal of phosphate-rich tunnelling spoil also posed a problem as it was likely to impact local vegetation. The nature of the geology and groundwater conditions led to construction costs to more than double from £183 million to an eye watering £470 million! On 20 July 2005 the tunnel scheme was withdrawn by the Government partly due to rising costs of construction. Details of the geology of the Stonehenge area based on the site investigations for the 2002 tunnel scheme and BGS mapping have just been published in the Proceedings of the Geologists' Association. 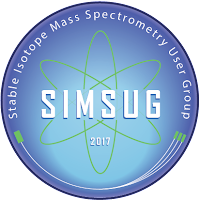 In July, the 14th Stable Isotope Mass Spectrometry User Group (SIMSUG) meeting was hosted by the Stable Isotope Facility at the British Geological Survey. 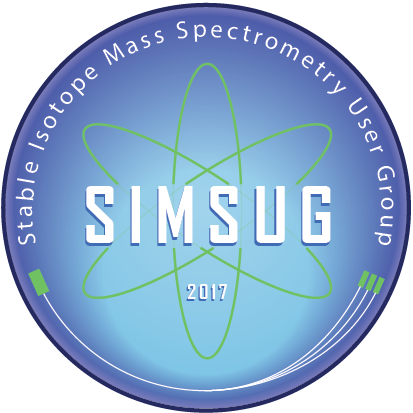 SIMSUG brings together scientific users, engineers, manufacturers, and suppliers of mass spectrometry equipment to discuss new applications and developments in stable isotope research and analytical instrumentation. Although the meeting has been held annually in the past, the last SIMSUG was hosted six years ago in 2011 by Lancaster University Centre for Ecology and Hydrology – so about time for a catch up! Over 80 delegates attended this year’s meeting representing many disciplines and affiliations, including UK- and EU-based universities, research institutes, academic journals, and mass spectrometry companies. The meeting kicked-off with a tour of the BGS, including the geological walkway and core stores, and the stable isotope, geochronology, inorganic and organic geochemistry facilities, highlighting the broad range of geoscience, health, and environmental research undertaken at the BGS. 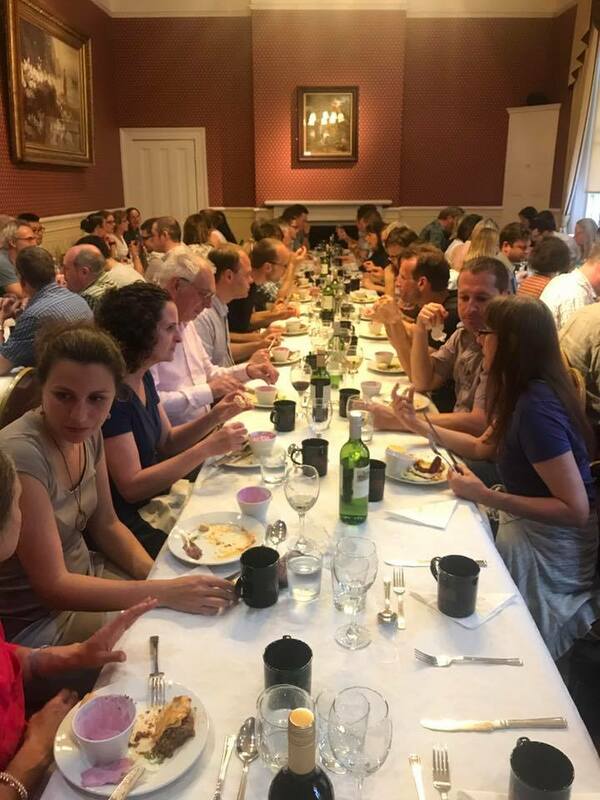 The meeting programme was diverse, with scientific talks and posters organised into overarching themes covering methodological advances and systems innovation, tracing terrestrial and marine palaeoenvironmental change, and palaeodietary studies. Dr Peter Wynn (Lancaster University) gave a keynote presentation discussing the relevance of subglacial methane generation in a warming world, and Dr Tamsin O’Connell (University of Cambridge) described the contribution isotope analyses have made to palaeodietary studies and the potential for future developments. A conference dinner was held at the National Justice Museum where delegates were able to enjoy an informative and interactive tour of Nottingham’s historic courthouse and jail. Dinner was followed by a guided walk through the city. 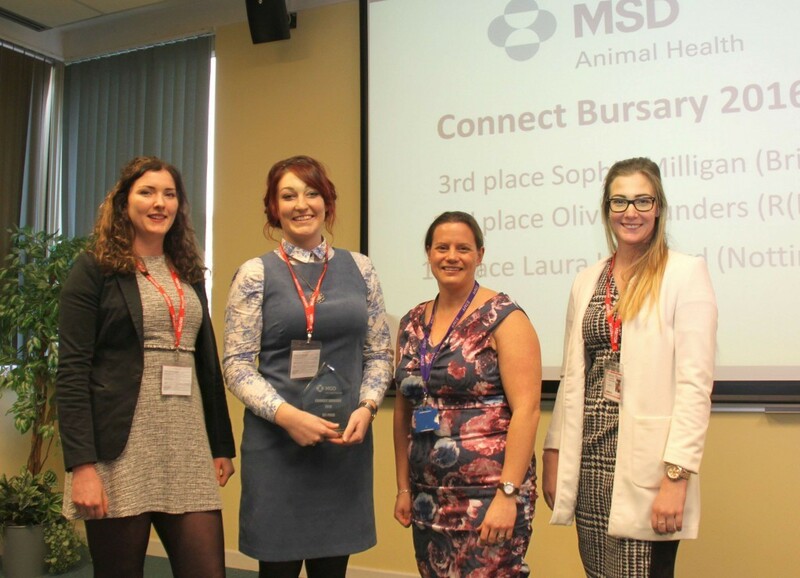 Congratulations to all PhD students who won prizes. The quality of the presentations and posters was very high indeed and all student presenters received commendation from the judges, Peter and Tamsin. The award for best overall presenter went to Benjamin Bell (University of Manchester), best talk to Hal Bradbury (University of Cambridge), and best poster to Kim Wood (SUERC). Well done everyone! Thanks to our sponsors (Thermo Fisher, Elementar, Sercon, Elemtex, Isoanalytical, Goss Scientific, Elemental Microanalysis, QRA) and to the rest of the Stable Isotope Facility organising team. Catch up with #SIMSUG2017 on Twitter! We hope to see everyone again at SIMSUG 2019, which will be hosted by the Life Sciences Mass Spectrometry Facility at the University of Bristol. For more information on SIMSUG, please visit the group’s Facebook page. Anyone need a tour guide? I’m getting to be quite well-versed in what happens where at the BGS, as (just like last week) we had tour group visiting us on Tuesday. This time our guests were a lovely group from the U3A – that’s the University of the Third Age. They held a science seminar in the local area and hosted part of it at our site in Keyworth. I joined the group in the afternoon to help show them around and, despite the torrential downpour we had to paddle through, they had a whale of a time! The rain didn’t even put them off doing the geological walk: armed with macs and maps they braved the outdoors to find out more about this interesting and beautiful part of the site. The walkway can be found running through the Keyworth campus and is open to everyone. I first saw it on the day of my job interview; it stood out despite my mind being full of nerves and the fear that I’d worn the wrong shoes. My now-colleague Jo Thomas walked me along it, explaining that the paving stones were laid out to represent the different geological time periods – starting way back in the Precambrian period, some 2500 million years ago, and stretching forward to the Quaternary period. The stones are gorgeous mix of colours and textures, brought here from all over the UK. Alongside the paving stand various large rocks and boulders, set into the ground. There is also the large feature wall on the front of the James Hutton Building, commemorating the work of the eponymous 18th century geologist. The wall is a stylised representation of Siccar Point on the Berwickshire Coast, location of the notable Hutton's Unconformity. If you’d like to come and see this remarkable walkway for yourself then please do! It’s generally open Monday to Friday from 9:00 am to 4:30 pm and you can pick up a free leaflet from Reception. To find out more about the walk visit our website here. And if you see me (with or without a tour group in tow), do stop and say hi! The walk isn’t the only thing open to the public at BGS Keyworth; you can also visit our lovely shop which is full of jewellery, home-ware, books and more – all with a geological theme of course (an alarming portion of my pay check may well find its way there; even now I can hear the gemstone jewellery whispering my name…). You can also visit our free art exhibition, Impossible Views, hosted in partnership with QuarryLab, a North Notts organisation which supports local artists. Bringing this post full circle (it's almost like I plan this), one of the artists' work features some great sketches of Siccar Point, so be sure to check it out! The exhibition's run has been extended and will run at our Keyworth base until January 2018, open every Friday from 9:30 am until 4:30 pm. 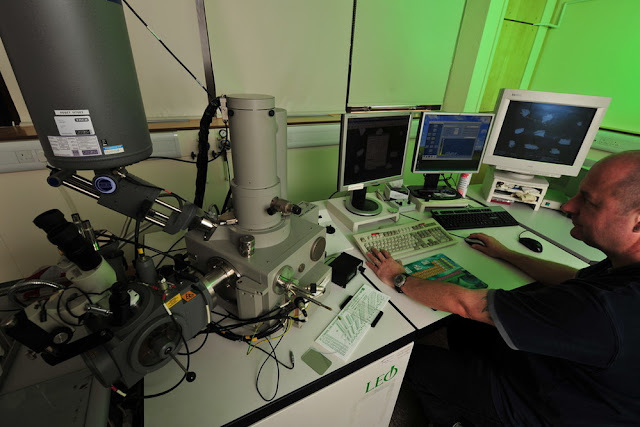 Did you know that SEM stands for ‘scanning electron microscopy’ which allows scientists to take an incredibly close look at the composition of materials in a various formats (such as rock chips, polished thin sections and liquids)? The information SEM gives us can contribute towards mineral identification, textural analysis, fault rock studies, and much more. I did not know this, unsurprisingly, but now I do! And so do 12 young people from the London International Youth Science Forum who joined us this Tuesday for a tour of the BGS. As one of the newer members of staff, I had the chance to accompany the students on the tour, serving as part route-guide and part extra member! The students, a mixture of young adults from around the world, were a pleasure to have with us and really engaged with the talks given by BGS scientists such as Dr Jeremy Rushton in the SEM lab and Dr Mike Howe who showed us around the National Geological Repository (aka the Core Store). (And I didn’t lose a single student so I’m marking it down as a big success.) We look forward to seeing you again next year, LIYSF! This week I continued to help with monitoring our social media accounts; the BGS is pretty active on Facebook, Twitter and Instagram so there’s always something going on! Our social media posts come from a combination of communications staff ferreting out interesting pieces of info, and submissions from the many scientists working on projects across the BGS. One of my favourite submissions this week was from the team who have developed a new version of the BGS Groundhog Desktop software. To the uninitiated (which I was until three days ago) this might sound a bit odd – what’s a groundhog doing at a desktop anyway? What this actually is, is a rather interesting piece of software that allows users to easily (and in the comfort of their own home) explore digital versions of geological features such as cross-sections, borehole logs and geological map linework. It’s free to use and we have a great YouTube tutorial on how to get started with it. I’ll back on the blog again next Friday but, until then, if you haven’t read my previous posts on being a BGS new starter you can check them out here, here and here! Here is one for all you money savers… I have just completed a four-week tour of the North Fork Toutle River (NFTR) catchment system, in Washington State, USA. The aim of the tour was to aid my understanding in the influences of the eruption of Mount Saint Helens as well as the deposition of enormous levels of sediment onto the river plain, and the implications that followed. I am sure many of you will know that Mount Saint Helens erupted in 1980, with the stratovolcano erupting laterally. This lateral eruption blew around 25km2 of ash northward, settling at least one metre thick and resulting in lahars through the NFTR valleys, destroying vegetation and clogging up the river system. During the tour I was able to travel through time seeing the recovery of vegetation in the surrounding areas. I investigated the types of vegetation and the stability of sediment, and the impact of the large retention structures put in place by the USGS, US army engineer corps and University of Portland in order to protect the sediment and reduce flooding in large settlements downstream. As well as being very interesting to me (as this work will provide the basis of my dissertation thesis) the whole tour did not cost me a penny! This is the magic of the digital and virtual reality technology used by the BGS today. 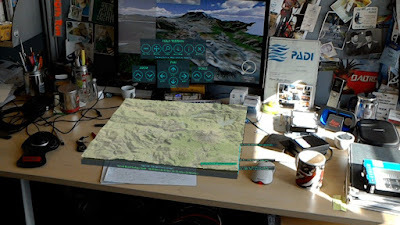 Using GeoVisionary, ArcMap, Groundhog Desktop, HoloLens and other BGS virtual reality tools, I got to experience, analyse, and conclude various questions about the area. I saw these changes in a way that traditional 2D imagery cannot even begin to show, and can even be difficult to comprehend in reality. These systems allowed me to investigate the surrounding area remotely prior to the eruption as well as the result and recovery of the event. My area of work involved monitoring various changes over time, observing vegetation and the changes following through from succession of new pioneer species, in addition to monitoring whether management strategies were having any of the effects they aimed to achieve. Further to this I was aiming to predict landslides in areas which may increase the river sediment load; identifying areas of high risk. The work I did barely scratched the surface of what can be achieved by the various visualisation systems used by the BGS. With the help of the specialist teams at the BGS (3D Visualisation Systems and Remote Sensing) it is possible to produce detailed maps worldwide, some of which are inaccessible in the field, and have the tools and know-how to explore both the above and below ground, providing the basis for arange of exciting new research to be undertaken. Fortunately, I do get to do the tour in reality in August where I can ground truth my results from the above virtual investigation! I would just like to thank Ricky, Bruce and Alessandro who made the virtual tour possible.